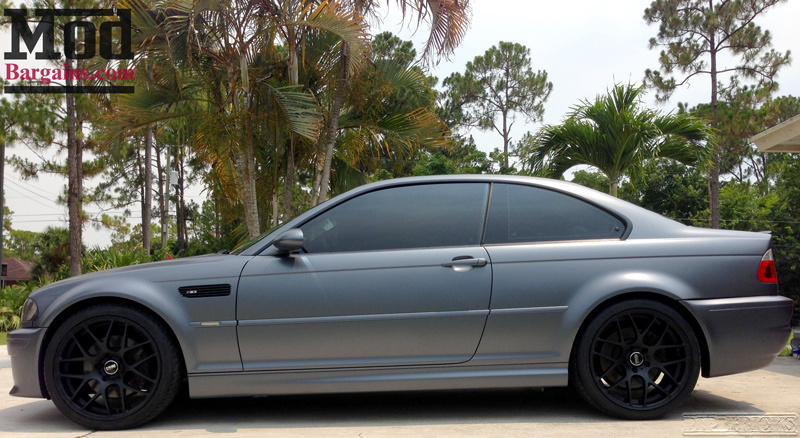 BMW E46 Owner Todd S. Recently worked with Modification Expert Frank Kim to outfit his BMW M3 with a set of VMR Wheels. Opting for the V710 in staggered 19×8.5 up front and 19×9.5 out back, the Matte Black Wheels for BMW give the car a purposeful look. 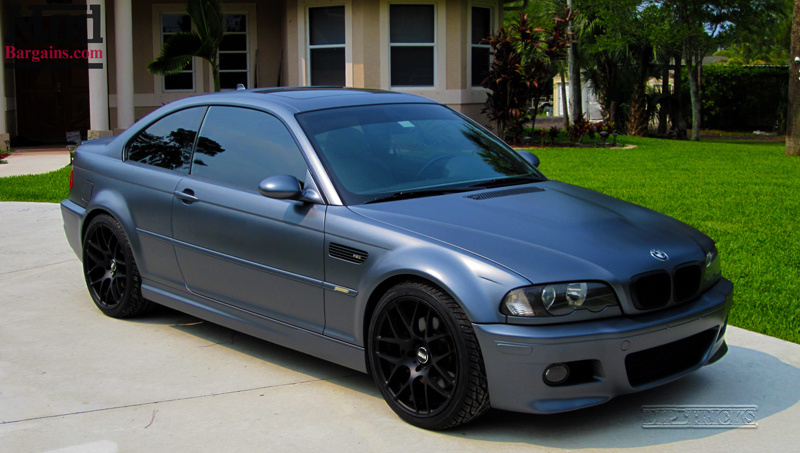 As you can probably tell, this E46 M3 wears a matte gray wrap or dip on the outside, making the choice of Matte Black VMR V710 Wheels an especially appropriate choice. 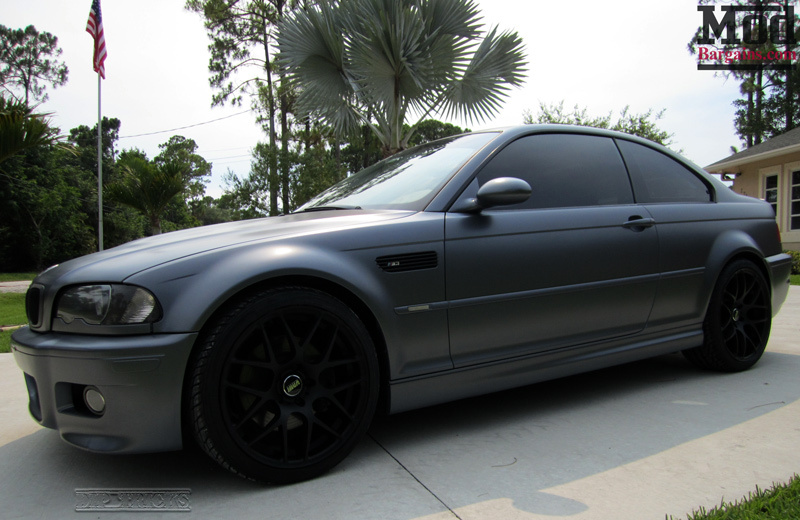 Coupled with the dark tint and other black accents on this E46, the Matte Black VMRs give the car a very coordinated, matched look. The lack of gloss in the paint allows the natural curves of the E46’s iconic bodystyle to really shine through, don’t you think? Thanks to Todd for sharing his photos with us- if you’re looking for a set of wheels for BMW E46, give us a call at 714-582-3330 and the Modification Experts can recommend a fitment for you. Interested in a set of VMR Wheels? Want a set of Wheels for your BMW? Check out our selection at ModBargains.com.